Breast cancer is no longer the leading cancer killer of women in the developed world. According to a new report from the American Cancer Society, lung cancer now surpasses it as the top killer of women in wealthy countries. 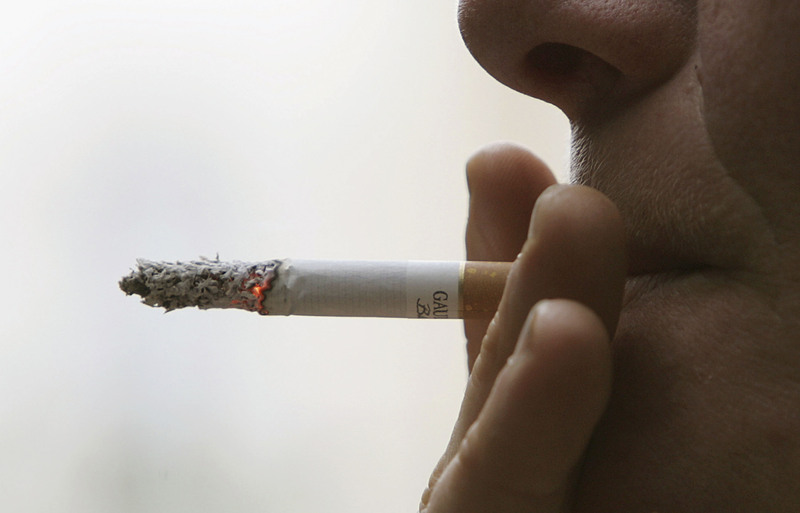 There’s one big cause for this shift: smoking. Smoking is almost always the cause of lung cancer, and the uptick in women’s deaths from lung cancer connects with the increased popularity of cigarettes among women. Lung cancer has been the leading cause of cancer deaths for men for decades, in both the developed and developing worlds. But it wasn’t until four decades ago that smoking became a popular habit among women, U.S. News and World Report says. Now, 40 years later, women are paying the price. Although cases of many types of cancer are decreasing because of modern technology, lung cancer is becoming increasingly common. The incidence of breast cancer has decreased worldwide, thanks to improved medical technology and increased detection efforts. The manmade invention of the cigarette has, unfortunately, not had such a good effect on cancer rates. As cigarettes become increasingly popular in the developing world, cancer trends in the future are expected to mirror the current numbers in the developed world. Bloomberg reports that in 2012, lung cancer killed 209,900 women, whereas breast cancer killed 197,600 in wealthy countries, such as the U.S. and much of western Europe. In developing, lower-income countries, breast cancer killed 324,300 compared to 281,400 killed by lung cancer. in the developing world. But Bloomberg reports that in places such as China, Indonesia, and several African countries, lung cancer deaths are expected to increase as the popularity of smoking does. As developing countries increasingly adopt western lifestyles, they will increasingly be plagued by the negative consequences born of the lifestyle's poor diet, lack of physical activity, and prevalence of smoking. However, because the cause of the uptick is obvious, it’s a problem that can be fixed. Already, thanks to campaigns against smoking in the western world, smoking rates and thus lung cancer death rates have declined. And it’s never too late to stop. The AP reports that even quitting by middle age can lower the risk of dying from lung cancer by 60 percent. Bad habits don't come without a cost. While it's good news that the incidences of breast cancer have decreased, it's certainly dismal that mankind has invented what's now one of its biggest downfalls.